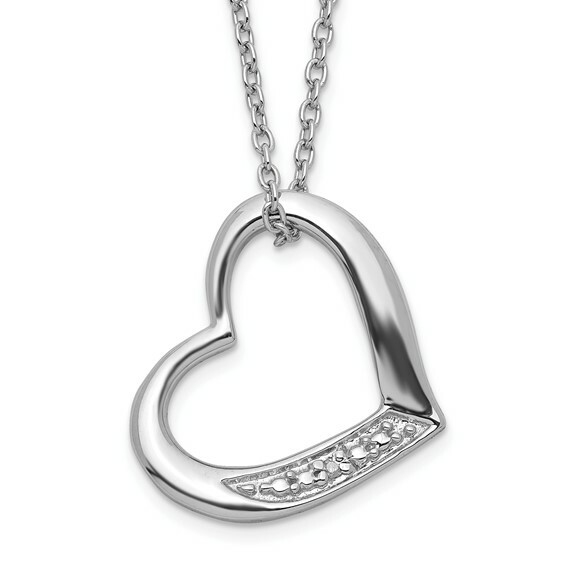 Sterling silver heart with diamond necklace. Heart measures 5/8 inches tall by 5/8 inches wide. 18in chain. .01 CT diamond. Weight: 3.42 grams.